Google has made the final version of Android 7.0 Nougat available to developers, phone makers, and select devices. Google released the first developer build of Nougat earlier this year and has been refining the platform ever since. Today Android 7.0 Nougat official moves out of beta. The next generation mobile operating system includes support for Vulkan to improve graphics performance for games, and also improves the Android runtime to speedier daily use. Nougat introduces file based encryption to better isolate and protect individual users. Android 7.0 Nougat offers seamless security updates that happen automatically in the background with no user action required. Google made improvements to the multitasking with multi window mode. Android 7.0 Nougat now shows the most recent seven apps and moves the "clear all" tool to the top of the screen to prevent accidental closings. Nougat overhauls notifications providing direct control over silencing certain types of notifications. The platform adds Unicode 9.0 for an expanded set of emoji. Last but certainly not least Android 7.0 Nougat adds direct support for virtual reality. Android 7.0 Nougat is available to the Nexus 6, Nexus 5X, Nexus 6P, Nexus 9, and Pixel C devices. Google has released Duo the video chatting app for Android and iOS. Duo doesn't require a separate account users need only their phone number to get started. Google says it built the app to function well even across poor network connections. The app will change the resolution to match the connection speed in order to keep the call going, and can seamlessly switch from wifi to cellular. A feature called Knock Knock gives people a preview video of the person calling so they can see what's up before answering the video call. Duo is free to download from the Google Play Store and iTunes App Store. Google’s own GitHub page simply describes Fuchsia as “Pink + Purple == Fuchsia (a new Operating System)”. There’s the Magenta kernel based on the LittleKernel project. Just like with Linux and Android the Magenta kernel powers the larger Fuchsia operating system. Magenta is being designed as a competitor to commercial embedded OSes. Magenta is said to work on embedded devices, smartphones, and desktop computers. Magenta improves upon its LittleKernel base by adding first class user mode support and a capability based security model, this will allow features like Android 6.0 permissions to work. Google is using Flutter for the user interface as well as Dart as the primary programming language and Escher a renderer that supports light diffusion, soft shadows, and other visual effects with OpenGL or Vulkan at the helm of it all. Shadows and subtle color reflections are a key component of Material Design. We know Fuchsia has support for both 32-bit and 64-bit ARM CPUs, as well as 64-bit PCs. Could Fuchsia be a lightweight OS used on hardware not capable of running full Android such as the Google OnHub router and Google Home? Let us know what your thoughts are in the comment section below. According to a video published earlier today via YouTube titled Sneak Peek at Lenovo's 2016 Holiday Product Launch the company is about to unveil a new chapter in tablets, new Moto Mods for the Moto Z and Z Force smartphones, and a whole new kind of intuitive keyboard. As for a new Moto 360 smartwatch being showcased at IFA 2016 the new video doesn't directly mention a refresh to the existing Moto 360 smartwatch, it does however show older Moto 360 models in the below video. Seeing how last year's Moto 360 was officially unveiled in September, it makes sense that we're speculating an announcement of a new Motorola Android Wear watch at this year IFA. Mobile accessory giant Incipio today announced the purchase of Griffin Technology, a long time maker of mobile accessories. Recently, Incipio has purchased Skullcandy and Incase. 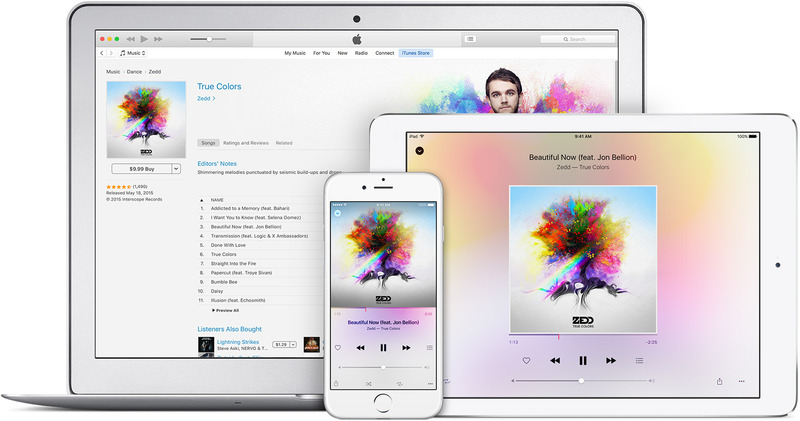 Apple updated its Music app for Android devices. The 1.0 app adds a single feature in its full release and an graphic equalizer tool for adjusting sound levels. Apple says the app also received a variety of performance, playback, and stability improvements. Apple Music for Android allows people to create personalized stations, as well as listen to tracks on demand. Apple Music for Android includes Beats1 Radio, and supports local caching for offline playback. The app itself is free to download from the Google Play Store, however the service costs $10 per month for users.